Explore new ways to serve! Here’s where you can learn about new organizations, and expand your horizons! 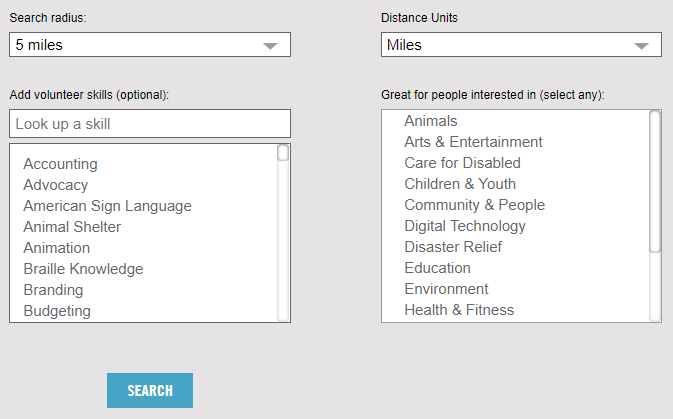 Select an interest to learn about organizations helping animals, disaster relief, refugees, seniors, and more! You can also find a way to use skills you have to help organizations in Utah! Are you a photographer? Speak another language? Have gardening or art skills? Find a way to use them to help your community!